If you can’t find a desired transfer relation in our online booking system or have questions, special requirements and needs (eg. you need more transfers, you want to book a trip, etc.) you can contact us this way. On our online booking system, you can immediately get information about locations, prices and vehicles. If you book a return transfer we offer discounts of up to 5%. Dear visitors, let us introduce our firm to you. We have been in travel business for more than 30 years. We offer all kinds of passengers transports – from organized airport transfers to the classic taxi transport service. 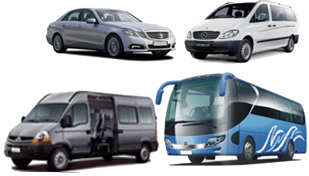 If you are coming to Croatia on business or as a tourist, feel free to contact us and we will take care of your transport. Our experience guarantees high level of professionalism and quality. Our taxi fleet consists of luxury vehicles that will ensure comfort, and combined with the professionalism and kindness of our drivers,the service will meet any of your expectations! The mentioned vehicles are for tourists only, which mean you’ll get clean, comfortable and best vehicles possible. Booking your way in croatia. Yes, i need round trip. No, i don't need round trip.